Sustainable living and food go hand-in-hand. The food you eat has one of the most significant impacts on your own health and the wellbeing of the earth and all ecosystems around it. Because we cook too much food at once. Because we buy take-out while the fridge is full. Because we impulse-shop instead of sticking to the shopping list. Because we shop when we’re hungry which inspires us to buy more food. We discard 20% of all food we purchase – which is like throwing out a bag of your groceries every five bags you buy. Up to 40% of the average household’s waste is food. 800 million people do not get enough food each day to lead a healthy life. Yet Australians throw out 8 billion dollars worth of edible food each year - 4 million tonnes of it in Australia alone. 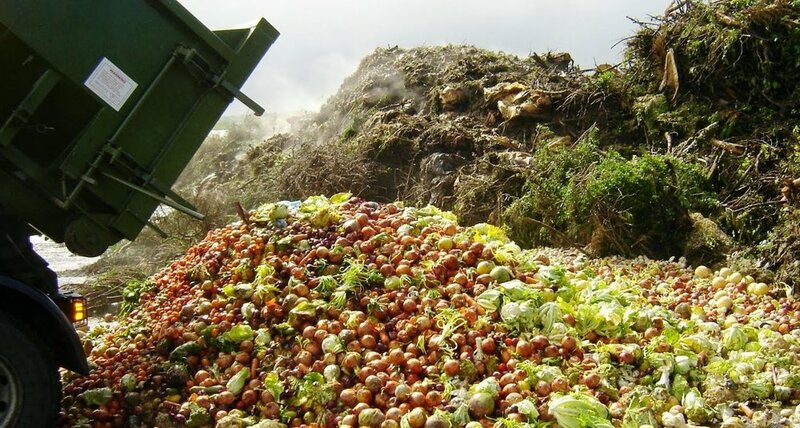 Americans, with a much higher population, throw out 165 billion dollars worth of edible food. Food is a household’s number 1 contributor to climate change. Food that has arrived in landfills gives off a greenhouse gas called methane and is 25 times more potent than the carbon that comes out of your car’s exhaust. When you throw food out, you also waste the water, resources and fuel it took to get these foods from the farm to your plate. Buy fewer fresh fruits and vegetables at your local market, and return when your fridge is empty. Plan your meals. Schedule a take-out night if that’s your routine. Reduce the size of your meals that you prepare. So does everybody produce the same amount of food waste? 1st Young people (18 – 24yrs). 2nd Big earners ($100,000+ per year).